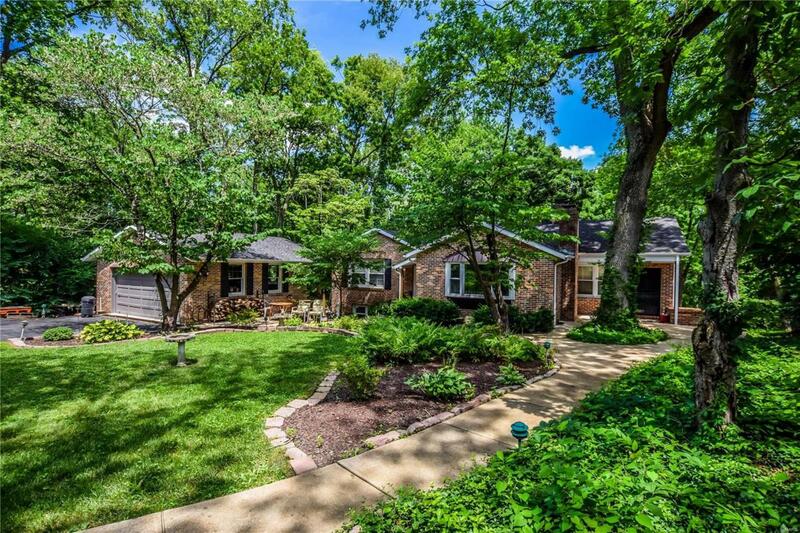 Wonderful Ladue Home in the desirable Graybridge Road Neighborhood! 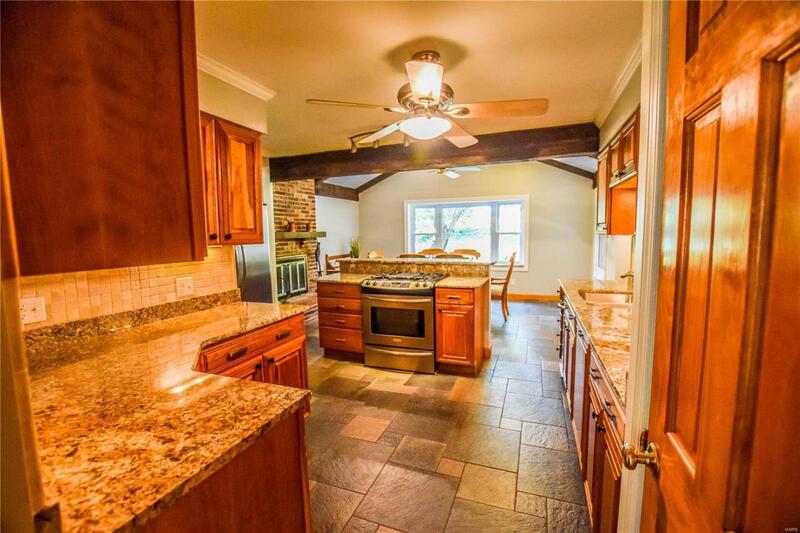 This home sits on a secluded cul-de-sac and contains over an acre of ground. Beautifully landscaped gardens welcome you to this classic colonial ranch. 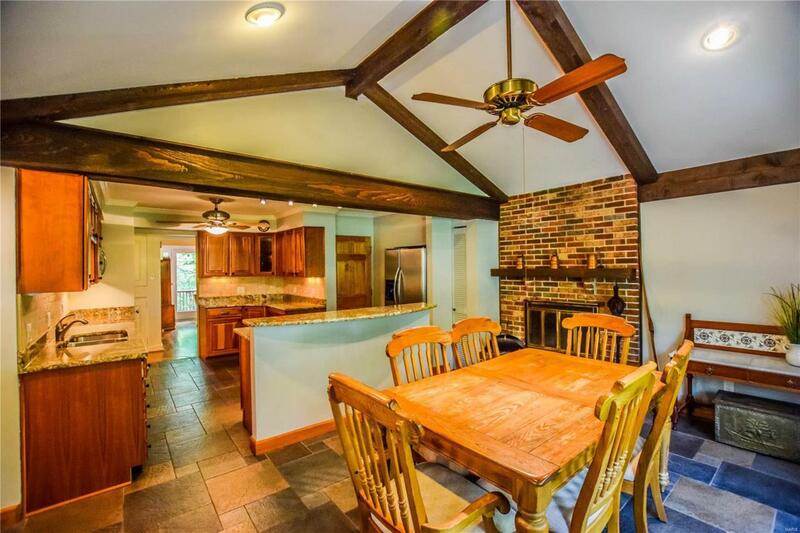 The center of the house is a renovated kitchen with a large hearth room with cathedral ceilings, and a fireplace and overlooks the wonderful front garden. 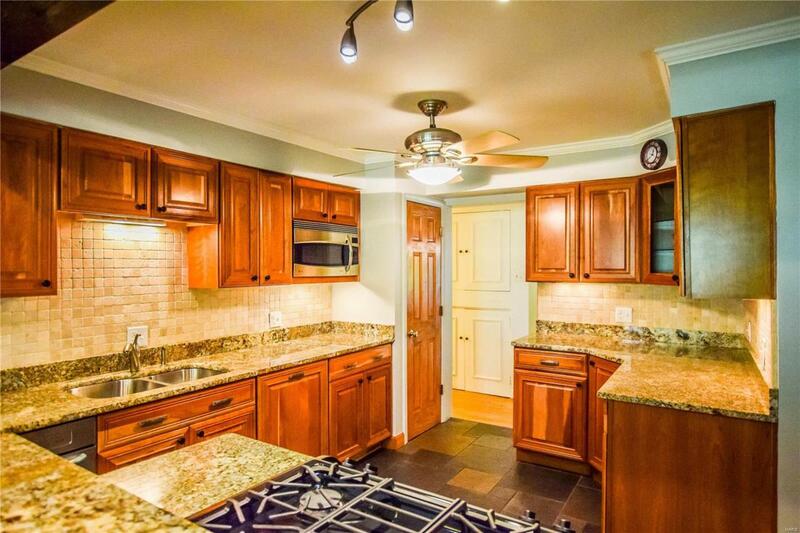 Stainless steel appliances and granite countertops make the kitchen a joy for any chef. Through the kitchen is a formal dining room with built-in cabinets and a wonderful view of the large rear yard and access to the deck. The Large living room has a fireplace and more built-in cabinetry. A bonus sunroom also accesses the deck and has windows on 3 sides. The home was originally designed with 3 bedrooms on the first floor but has been reconfigured to 2 bedrooms with an expanded master bedroom and large master closets.The lower level contains 2 add'l bedrooms, a large rec-room and a full bath and laundry. 2car garage.